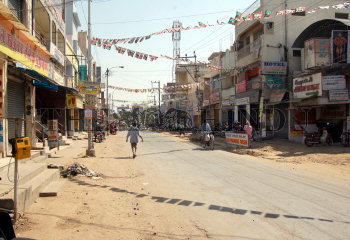 Caption : SALEM: The bandh called by the traders of Salem Railway Junction area to protest against Kerala was total on March 01, 2007. Photo: K.N. Muralidharan.